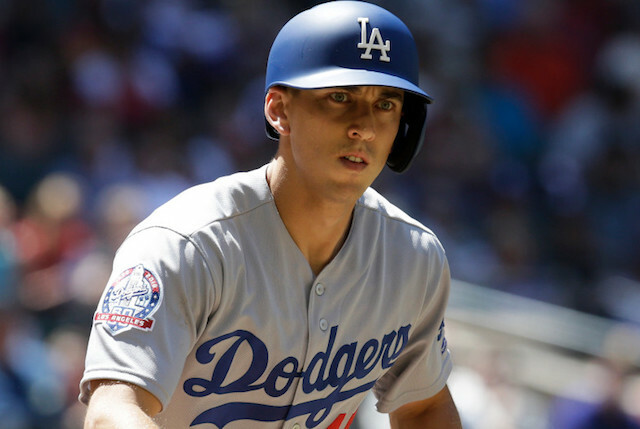 Coming off a record-setting Rookie of the Year season, expectations were high for Cody Bellinger going into 2018 as he figured to help anchor the Los Angeles Dodgers lineup. While he went through his ups and downs and wasn’t quite able to produce at the level that he did in 2017, Bellinger still had a very productive sophomore campaign. He began the season as the team’s starting first baseman, where he plays Gold Glove-caliber defense. 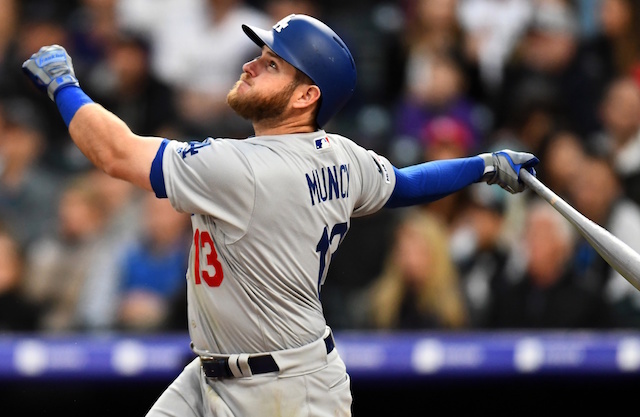 But when Max Muncy’s bat came on and Justin Turner returned from injury, Bellinger willingly moved to center field and continued to play great defense, demonstrating his impressive versatility and athleticism. One thing that Bellinger really struggled with was hitting against left-handed pitching and because of that, he was turned into a platoon player for essentially the entire second half of the season. He had a .681 on-base plus slugging percentage against southpaws compared to .880 against righties. Bellinger did not complain about the demotion, and still continued to make winning plays for his team, even when his bat was struggling in the postseason. Overall in 162 regular-season games, Bellinger hit .260/.343/.470 with 25 home runs, 84 runs scored, 76 RBI and 14 stolen bases in 15 attempts. Some of his home runs came in big situations as he went deep in the Dodgers’ Game 163 win over the Colorado Rockies to clinch the National League West. 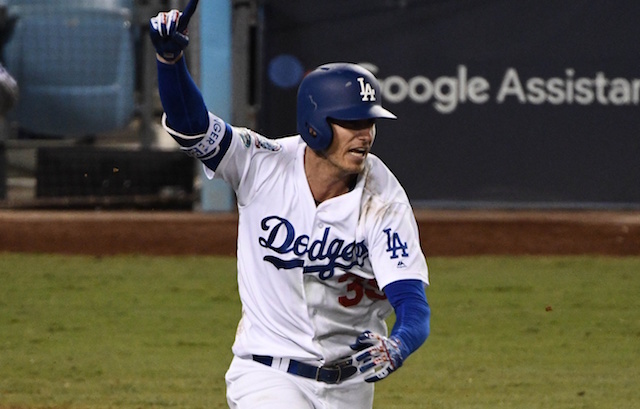 His only postseason home run ended up being a game-winner in Game 7 of the NL Championship Series against the Milwaukee Brewers, which helped Bellinger earn NLCS MVP honors. Bellinger also made a few outstanding defensive plays in the postseason, most notably in Game 4 of the NLCS when he robbed Lorenzo Cain of extra bases to lead off the 10th inning. He also made a perfect throw home to get Boston Red Sox second baseman Ian Kinsler in the 10th inning of Game 3 of the World Series to keep the game tied. Bellinger’s most timely hit of the season came in that extra-inning win over the Brewers in Game 4 of the NLCS. A few innings after he made that diving catch to rob Cain, he stepped to the plate with a chance to give his team a victory. With two outs in the bottom of the 13th and Manny Machado on second, Bellinger pulled a 3-2 slider off Brewers reliever Junior Guerra for a single into right field. Machado hustled home to score the winning run to give the Dodgers a 2-1 victory and tie the series at two. Los Angeles then went on to win the series in seven games to return to the World Series. With Muncy still in the mix at first base, Bellinger will likely be the team’s starting center fielder once again in 2019. Dodgers manager Dave Roberts recently said he envisions Bellinger playing every day, so he will receive the opportunity to prove that he can hit left-handed pitching and not fall victim to a platoon again.